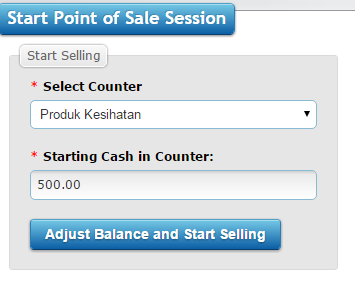 For this section, you should set the counter and amount available. Select Counter : Please choose any counter your want. Starting Cash in Counter : For this portion, you can state the cash amount available in the counter. Adjust Balance and Start Selling : Click on this button to begin the buying and selling process.